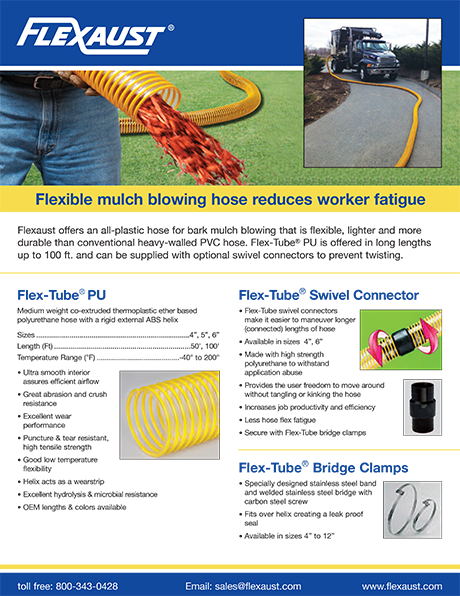 Flexaust introduces a new temporary heater duct for commercial and industrial rental use that provides smooth airflow to keep workers more comfortable at all types of construction sites and remote oil industry applications. 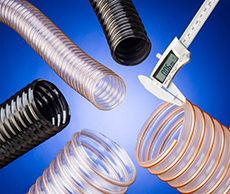 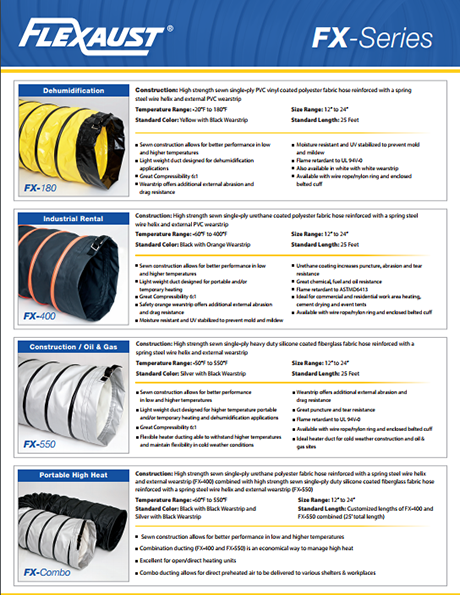 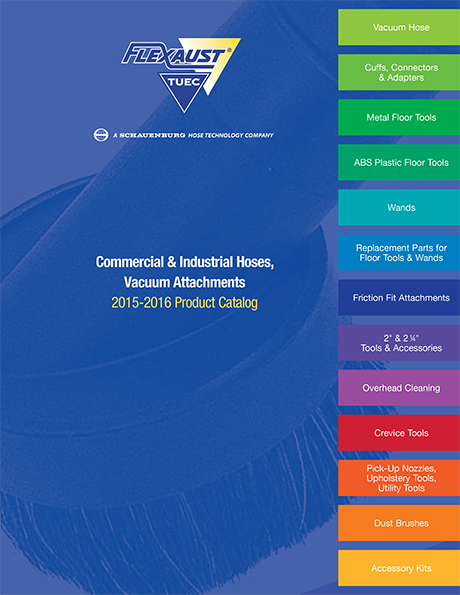 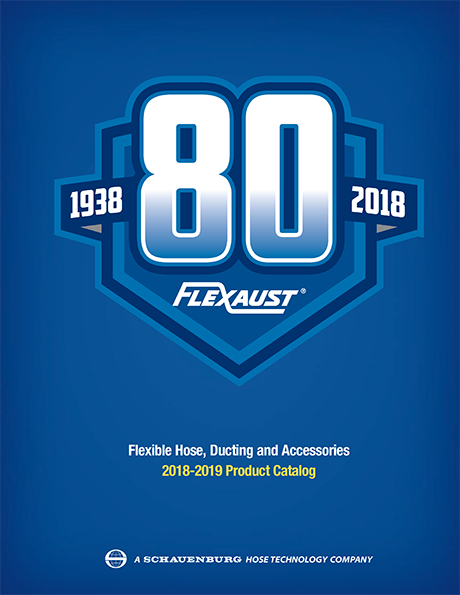 Flexaust Springflex® FX-400 Portable Heater Duct is a urethane coated polyester blower hose featuring closely sewn flap construction and a smooth interior for optimum airflow. 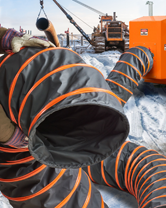 Ideal for use at construction sites during cold weather, this temporary heater duct has a belted cuff for easy attachment to the heater and a safety orange wear strip for drag resistance.